Whether it’s from a flash flood or a broken pipe, water damage can be one of the most devastating home disasters a homeowner will face. Cleaning up the mess can be back-breaking, and the threat of mold development can linger for weeks. But with quick action and 24Restore, we can make your water damage recovery as painless as possible. Time is of the essence to prevent damage so call immediately when you notice any kind of water damage in your home or business. If the water is coming from your household plumbing, the damage could be getting worse by the second. That’s why it’s important to know exactly where your home’s main water shut-off valve is and to make sure you’re able to turn it. As I have mentioned in many of my blogs before, I highly recommend tagging your main shut off valve so anyone living in the home can quickly identify it if needed. If you would like the main water shut off valve tag mailed to you, email me at lisa@24restore.com and I will get one to you! Fast Response. We will have someone in route to your home within one hour to ensure the damage to your home and belongings is minimized. Trained Experts. All of 24Restore’s water technicians have been certified by the Institute of Inspection, Cleaning and Restoration Certification (IICRC) to handle any kind of water damage in accordance with the S500 water drying standards. Industry Experience. 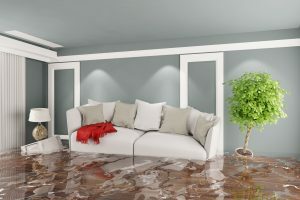 24Restore has been handling water damage claims with insurance companies for over 20 years. We will handle your claim and work with your agent and adjuster to make the claim process seamless. Warranty. When you choose 24Restore, you receive a 3-year warranty on our workmanship. We want to ensure your total satisfaction and we put our money where our mouth is. We also carry proper insurance with substantial limits to give you even greater peace of mind. Don’t let the water sit there overnight or wait to hear from your insurance company. We handle water damage claims every day and can explain the typical process, allowing you to make an informed decision immediately.